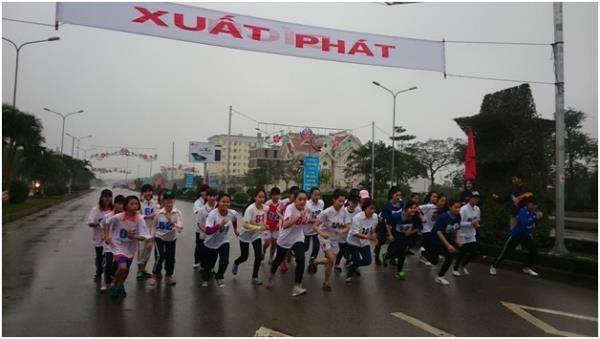 On the occasion of the 70th anniversary of Vietnam Sports Day (March 27th 2016) and to celebrate the annual great ceremonies of 2016, and also to mark the 61st Independence Day of Haiphong, in the morning of March 20th 2016, the students of Maritime College No.1 participated the Olympic Run Day for Public Health 2016 of Hai An district. 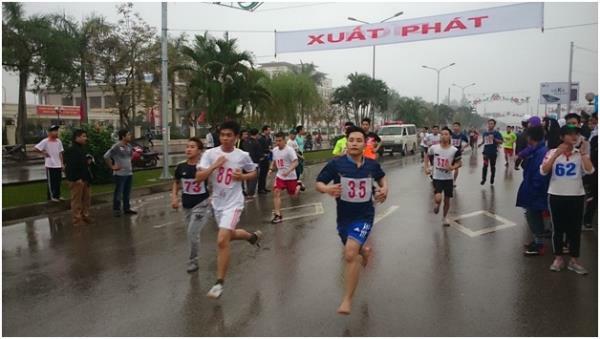 Olympic Run Day for Public Health of Hai An district this year held on Sunday attracted the mass participation and special attention of people. 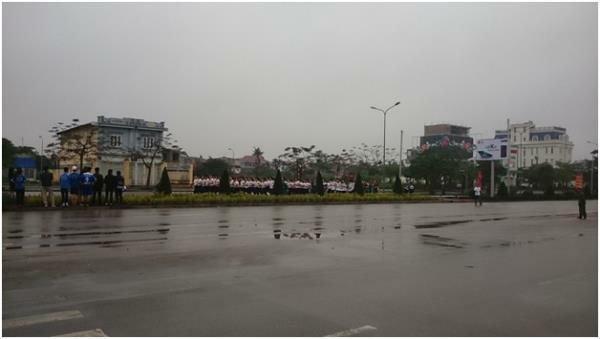 Early in the morning, local residents and other participants fully attended. In particular, there are 20 groups of 50 members with one leader for each. 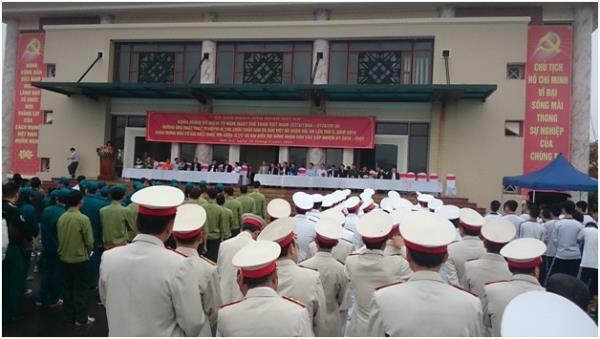 Among attendees are officials from departments and agencies; armed forces; universities and colleges; secondary students and people from all social classes. 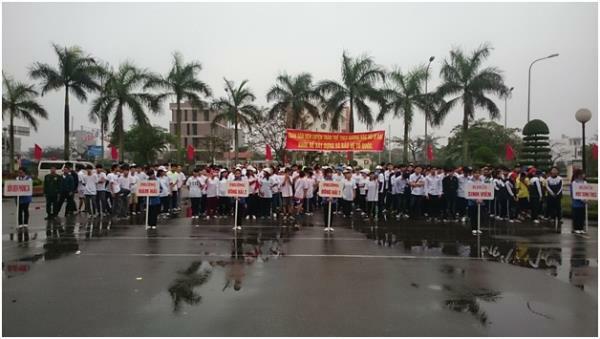 The Olympic Run Day aims to encourage a numerous number of people to exercise in order to respond the campaign “All the people practice physical training following great Uncle” and the movement “Be healthy to work and defend the country” among Vietnamese youth to contribute improving the health for studying, working, developing and defending the country. 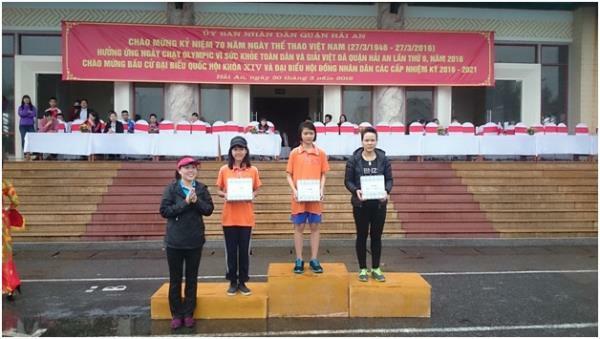 Right after this event’s activities is Hai An Marathon. 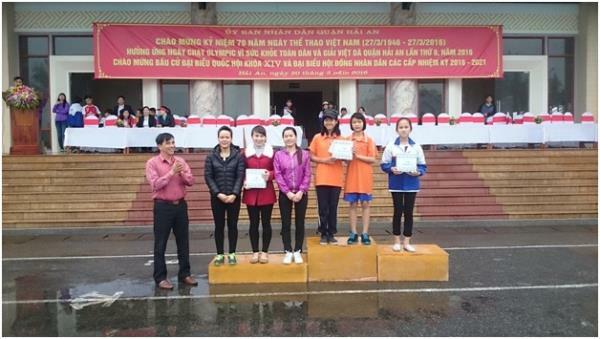 Each participating group had 2 teams in which one had 3 male athletes and the other had 3 female athletes. At the end of the marathon, Maritime College No.1 team ranked the second. 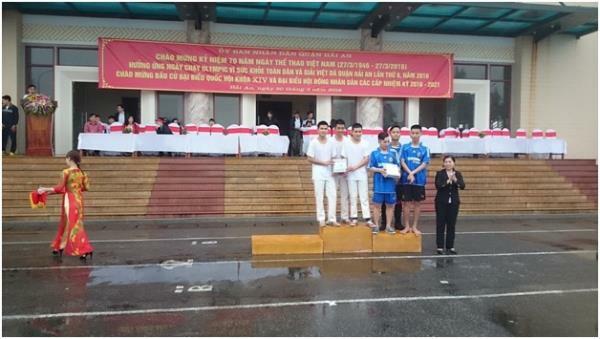 They also won the second prize for men’s and the third prize for women’s. 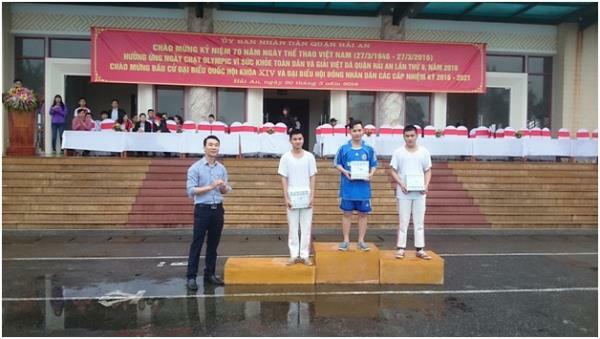 The first prize for individuals belonged to Do Dinh Phong, a student of the class 43CDK. 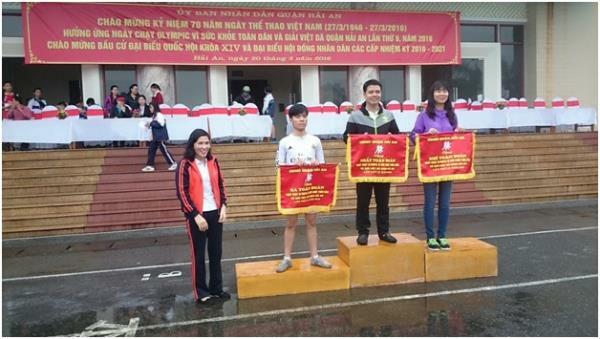 Le Thi Phuong, a student off the class 43CKT got the second prize for individuals. Pham Duc Dai from the class 43CDK was awarded the consolation prize.